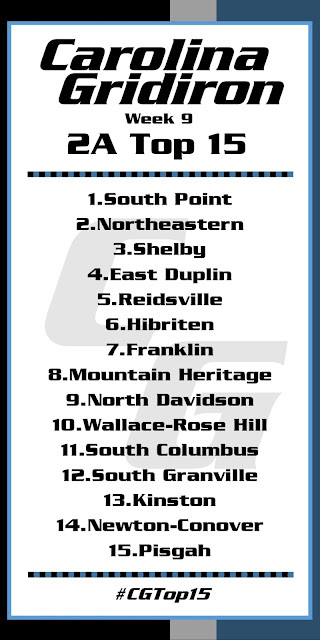 Carolina Gridiron ranks the top fifteen teams in each classification weekly during the football season. 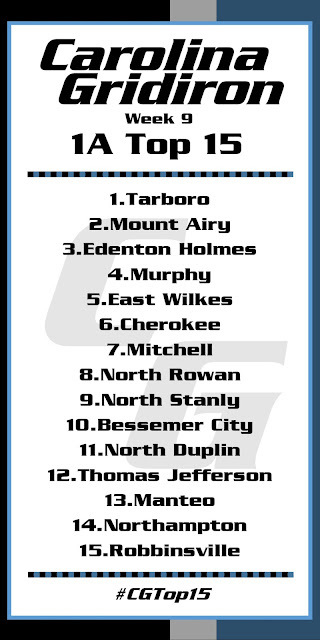 Teams are ranked based on a number of factors including strength of schedule, wins, and quality losses. 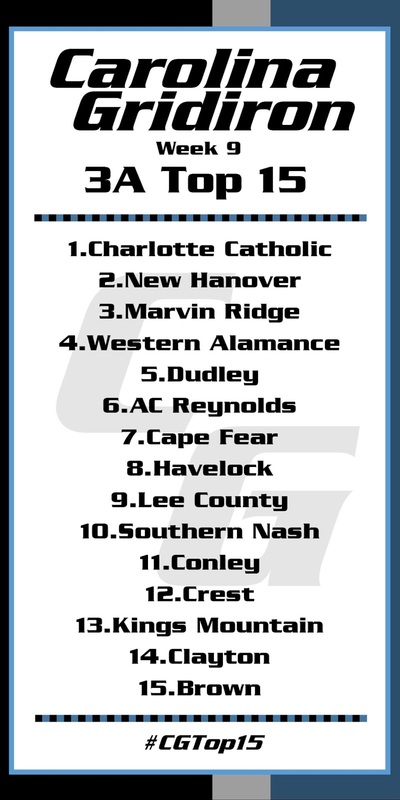 Interact with us on Twitter (@NCGridiron and @NCGridironNews) and let us know your thoughts using the hashtag #CGTop15.